For the first time in the United Nations, more nations than not acknowledged that peace between Israel and the Palestinian people must be built on a foundation of truth regarding Hamas. They recognized that reconciliation is impossible if reality is denied for the sake of scoring political points. And part of that reality is recognizing the primary responsibility Hamas bears in perpetuating the suffering of the people of Gaza. Unfortunately, Hamas’ malign activity is pushing Israel to engage in increasingly significant acts of self-defense. As in the case of past conflicts, Hamas starts a clash, loses the battle and its people suffer. That is the reality that needs to change. That foundation of reality underscores our administration’s approach to the Israeli-Palestinian conflict. Recognizing Jerusalem as Israel’s capital was a reflection of reality. Any realistic person knows that Jerusalem will remain the capital of Israel under any peace agreement. But as President Donald Trump said when he made that decision, he made no judgment about the final borders of Jerusalem; the President directly called on all parties to maintain the status quo at Jerusalem’s holy sites. Those questions are for the parties to decide. The peace proposal we will make will be similarly realistic, recognizing the legitimate needs of both Israel and the Palestinians as well as the interests of the broader region. No one will be fully pleased with our proposal, but that’s the way it must be if real peace is to be achieved. Peace can only succeed if it is based on realities. We got a glimpse of that at the United Nations on June 13. We expect to see more of this in the days ahead. The battleship is turning around. The officials said such a “realistic” attitude also underscored the administration’s approach to the conflict as a whole and to its upcoming long-gestating peace initiative. Since Trump took office, the United States has quit the UN cultural agency UNESCO, cut UN funding, and announced plans to quit the UN-backed Paris climate agreement. The PA repeated its charge that Trump’s unseen plan was aimed at “liquidating” the Palestinian cause and national rights, and urged Palestinians to rally behind PA president Mahmoud Abbas. Palestinian sources said they believed the PA’s announcement referred to “unsuccessful attempts” by the US administration to “bypass” the PA leadership by establishing direct and indirect channels with some Palestinian figures and parties, including Hamas. On Friday, three senior Trump administration officials – Jared Kushner, Jason Greenblatt and David Friedman – offered to help the Palestinians in the Gaza Strip in return for an end to Hamas “aggression.” The offer was made in an article the three top officials published in The Washington Post. Hamas on Saturday rejected as “trivial” an offer from the US administration to help the Palestinians in the Gaza Strip in return for ending attacks on Israel. In response to an article published in The Washington Post by US President Donald Trump’s advisers Jared Kushner and Jason Greenblatt and US Ambassador to Israel David Friedman, in which they called on Hamas to cease provoking or coordinating attacks on Israelis and Egyptians, and on infrastructure projects sponsored by donor nations and organizations, the terrorist group that rules the Gaza Strip accused the senior American officials of serving as spokesmen for the IDF. The soldier killed Friday by Palestinian sniper fire along the Gaza border was named by the IDF on Saturday night as Staff Sgt. Aviv Levi. Levi, a 21-year-old from Petah Tikva, was an infantry soldier in the Givati Brigade. Levi was the first IDF fatality on the Gaza front since Operation Protective Edge in 2014. “The IDF shares in the family’s sorrow,” the military said in a statement. “I am sending condolences from the bottom of my heart, on behalf of myself and on behalf of all Israeli citizens, to his family,” Netanyahu said in a statement. “Levi fell defending the nation, the land and the residents of the Gaza periphery. My heart is with his family this evening. May his memory be blessed,” Defense Minister Avigdor Liberman wrote in a tweet Saturday. Levi was wearing a bulletproof vest when he was hit in the chest, Hadashot TV news reported on Saturday. He was initially listed as seriously wounded but his condition deteriorated quickly. An initial investigation by the IDF has concluded that Staff Sgt. Aviv Levi, killed Friday by Palestinian sniper fire on the Gaza border, was hit by an armor-piercing bullet fired from an Iranian-manufactured rifle, Hadashot TV news reported Sunday. The gun used in the attack was said to be an Iranian replica of an Austrian Steyr rifle. According to the report, the IDF was aware Hamas was in possession of such weapons, which can penetrate the standard ceramic vests used by the majority of soldiers. However, given the low likelihood of the rifle’s use, and the heavier weight of vests capable of protecting from such bullets, more specialized protective wear is only used in special cases. As the military continued to investigate the circumstances of Levi’s death, hundreds participated in the soldier’s funeral in Petah Tikva, near Tel Aviv. Hundreds of mourners attended the funeral Sunday in Petah Tikva of Staff Sgt. Aviv Levi, who was killed by Palestinian sniper fire on the Gaza border on Friday. Levi, a 21-year-old from Petah Tikva, was an infantry soldier in the Givati Brigade. He was the first IDF fatality on the Gaza front since Operation Protective Edge in 2014. “It is not easy to eulogize a child. It is not natural,” said Levi’s father, Yaakov, to the crowd of mourners, the Ynet news site reported. An incendiary device launched from Gaza on Saturday sparked a fire at a southern kibbutz, prompting Israeli reprisal fire at a Hamas post Saturday afternoon, but overall things were relatively calm Saturday after deadly violence a day earlier. The incendiary device launched from the Hamas-run enclave fell at Kibbutz Nahal Oz, east of northern Gaza. It caused a fire at the kibbutz cowshed and at a storage center; cows were moved out of the cowshed and roamed parts of the kibbutz, as firefighters battled to bring the blaze under control, Army Radio reported. The Israeli response was the second tank shell strike in the day. Earlier a tank fired at a Hamas observation point east of Gaza City, saying it was retaliation for an attempted border infiltration in northern Gaza. The suspects returned to the enclave, according to the army. There were no reports of Palestinian casualties. The ceasefire announced overnight Friday-Saturday largely held in place Saturday after a wave of air strikes across the enclave a day earlier, sparked by the death of an Israeli soldier shot by Palestinian snipers at the border. The officer was the first IDF fatality on the Gaza front since Operation Protective Edge in 2014. The IDF fired a tank shell at a Hamas post Saturday morning after several Palestinian suspects attempted to infiltrate the border into Israel in the northern Gaza Strip, the military said. The suspects returned to the enclave, according to the army. There were no reports of Palestinian casualties. The incident was the first breach of the ceasefire announced by Hamas at midnight, following widespread Israeli airstrikes Friday after a soldier was shot dead by a Palestinian sniper. Israel has not officially confirmed that a truce is in effect, though it appears to have taken the position of halting strikes as long as Gazans stop attacks and provocations. After a security assessment, residents in the Gaza periphery were told they could return to their normal lives on Saturday morning. A scientist and a doctor from the Gaza Strip died in Algeria on Sunday under unexplained circumstances, Palestinian media reported, sparking speculation that they may have been assassinated. According to the reports, the Palestinian embassy in Algeria informed the scientists’ families that the two were found dead in their apartment, apparently from a gas leak or electrical malfunction. Algerian authorities were still working to determine a cause of death, the reports said. Some Arabic media reports claimed the two were assassinated, but there was no confirmation of this. There have been two high-profile cases of killings of Palestinian scientists affiliated with the Hamas terror, in recent months. 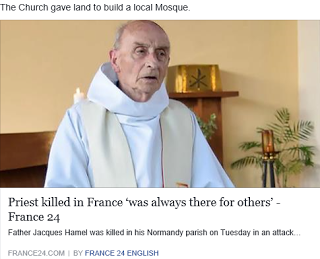 Those cases were blamed on Israel. The two were said to both be from the southern Gaza city of Khan Younis. 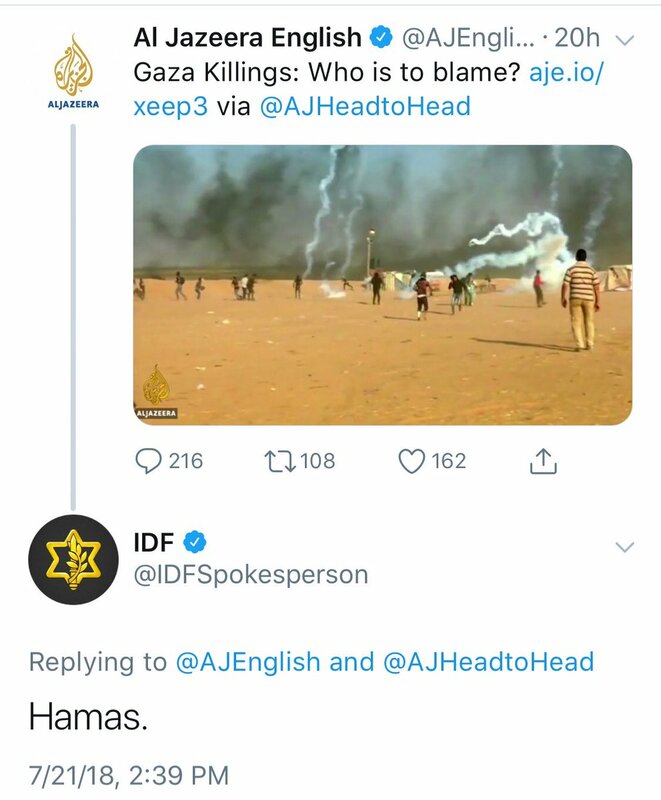 It was not immediately clear if they were connected to Hamas, the terror group that rules in Gaza. In April, Hamas accused Israel’s Mossad spy agency of killing one its scientists living in Malaysia in a drive-by-shooting. Two days of absolute quiet — without any border violence, incendiary kites and rockets — are needed before the Gaza crossings will reopen to anything but food and medicine, Defense Minister Avigdor Liberman said on Sunday morning. Until then, the Israeli ban on fuel and gas as well as all commercial goods remains in place. “The residents of Gaza must understand that as long as there fires and flaming balloons, life will not return to normal on their side as well. “Yesterday was the calmest day since maybe March 30th. Therefore my message to the people of Gaza is responsibility,” Liberman said. “If the situation will continue today and tomorrow as it was yesterday, than on Tuesday we will restore life at the Kerem Shalom crossing to normal,” Liberman said. “The key is quiet and calm, and zero flaming balloons and conflict by the fence,” Liberman said. Abbas has been withholding the salaries as part of the split between Abbas’s Fatah party and Hamas, which seized Gaza from Fatah in 2007. A number of reconciliation agreements have failed to bridge the divide between the sides, including an Egyptian-mediated deal reached in October. The ceasefire announced by Hamas, which Israel has not confirmed, came into effect around midnight Friday as the escalation in violence along the border raised fears of a wider military conflict. This weekend saw the first IDF casualty since the 2014 war, when 21-year-old Staff Sgt. Aviv Levy from Petah Tikva was killed by Hamas sniper fire from Gaza Friday afternoon. It is a sad state of affairs, one that Hamas is responsible for. It has the ability to change the future, but to do so it would need to change its purpose from an entity obsessed with Israel’s destruction to one focused on caring for its people and upgrading their quality of life. What Hamas continues to show is that, even 70 years after Israel’s establishment, some enemies are still blindly motivated by a radical ideology with a complete disregard for reality. Hamas stands no chance of destroying or defeating Israel. But that doesn’t stop it from trying with rockets, tunnels, kites and border protests. It is a terrorist group, no different than any other group that uses terror to try and advance unrealistic political ambitions. Hamas needs to pay a price. Israel has every legitimate right to attack Hamas targets and to use military force to stop attacks against itself. This is important to keep in mind as this round of violence continues. Politicians, international institutions and certain media will claim the contrary, but they are wrong. 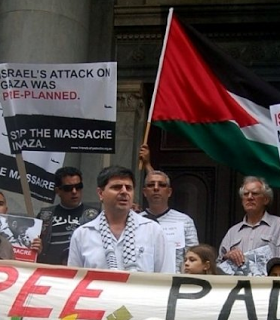 There is one side to blame for what is happening in Gaza, and that side is Hamas. Yet Hamas is not even willing to hear about the “Gaza first” plan offered by the Trump administration within the framework of the regional peace plan it is busy consolidating. Details of the plan were presented in a joint opinion piece by senior adviser Jared Kushner, Special Representative for International Negotiations Jason Greenblatt, and Ambassador to Israel David Friedman in The Washington Post, Friday. 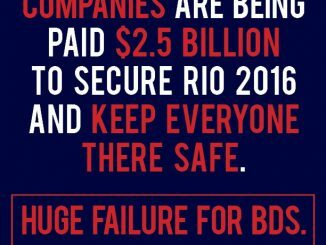 While the plan promises billions in dollars for Gaza’s rehabilitation, it does so in return for a heavy political price from Hamas, first and foremost the disarmament of the terrorist organization as well as the other armed groups operating in Gaza. Hamas has rejected this demand, and what better than literally setting Israel’s south on fire and escalating the security situation in Gaza to make this perfectly clear and, at least for the time being, take the White House’s plan – which has the support of the moderate Arab states – off the negotiating table. 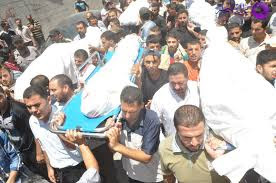 As for deterrence, Hamas has come to understand it cannot rely on kite terrorism and incendiary balloons forever and as a result, has decided to suffice with the “achievement” of killing an IDF soldier on the border with sniper fire. The fact that Hamas political bureau chief Ismail Haniyeh was visiting the area where protesters gather near the border fence, not far from where the soldier was shot, and his guards rushed to remove him from the area as soon as they learned of the shooting out of fear of the IDF’s response is proof the decision to kill the soldier was made at the field commander level and not by Hamas’ senior leadership. These messages were enough to convince the heads of Hamas that in the event of a military conflict with Israel, the Arab states would not blindly support them as they had done in the past and that they would be wise to accept the terms of the cease-fire in light of their perceived achievement of killing an Israeli soldier on the border. IDF Staff Sgt. Aviv Levi, 21, was killed Friday night while on patrol along the Gaza border. His girlfriend, Shahar Erez, eulogized him in a heart-wrenching post on Facebook and Instagram. A short while later, after her posts went viral and her identity became public, Arab users on both platforms flooded her pages with abusive messages and expressions of joy over Levi’s death. 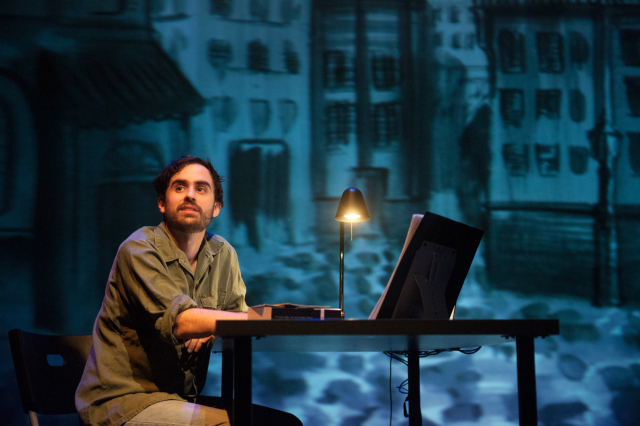 In her post, Erez, wrote of a fearless young man with whom she was planning a future. “My dearest love, my fighter. The heart burns and the tears won’t stop. Who would have thought you’d be gone so quickly?” she wrote. “You were never scared, no matter what was in front of you. My Aviv, we had a million plans ahead of us and we were counting the days until we’d be together again. Your birthday is in two weeks and while I was making plans for a perfect celebration, everything exploded. “I refuse to believe this is real. I refuse to believe you are gone,” she wrote. 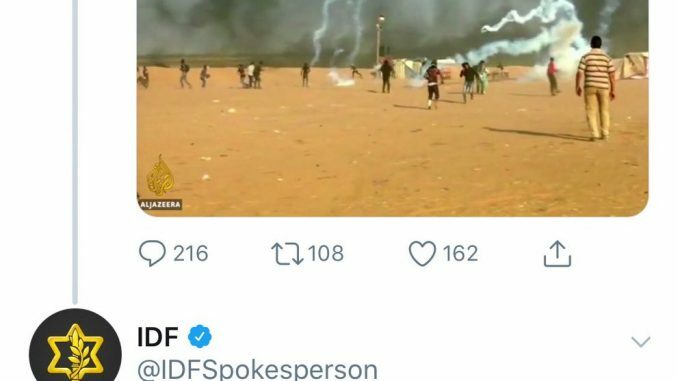 While hundreds of Israelis rushed to post messages of condolences and encouragement, dozens of Arab users did the opposite. Repugnant comments, such as, “We sent your boyfriend to hell,” “Gaza is waiting for you. It will be your graveyard,” and worse, were just a small portion of the dozens of vitriolic messages in Hebrew and Arabic posted to her accounts. Over 50 such comments were posted within two hours. The Israeli Foreign Ministry chastised the Cable News Network (CNN) over the weekend, after the network released a news brief which appeared to reverse the order of events in the latest clashes between Israel and the Hamas terror organization. On Friday, terrorists operating out of the Hamas-ruled Gaza Strip opened fire on Israeli soldiers stationed on the border, killing 20-year-old Givati Brigade Staff Sergeant Aviv Levi. In response to the terror attack, Israeli fighter jets pounded Hamas positions inside the Gaza Strip, hitting roughly 60 different terror targets in the Hamas-ruled coastal enclave. A day later, Gaza-based terrorists breached the Israeli border fence, prompting the IDF to shell a Hamas observation post in the Strip. 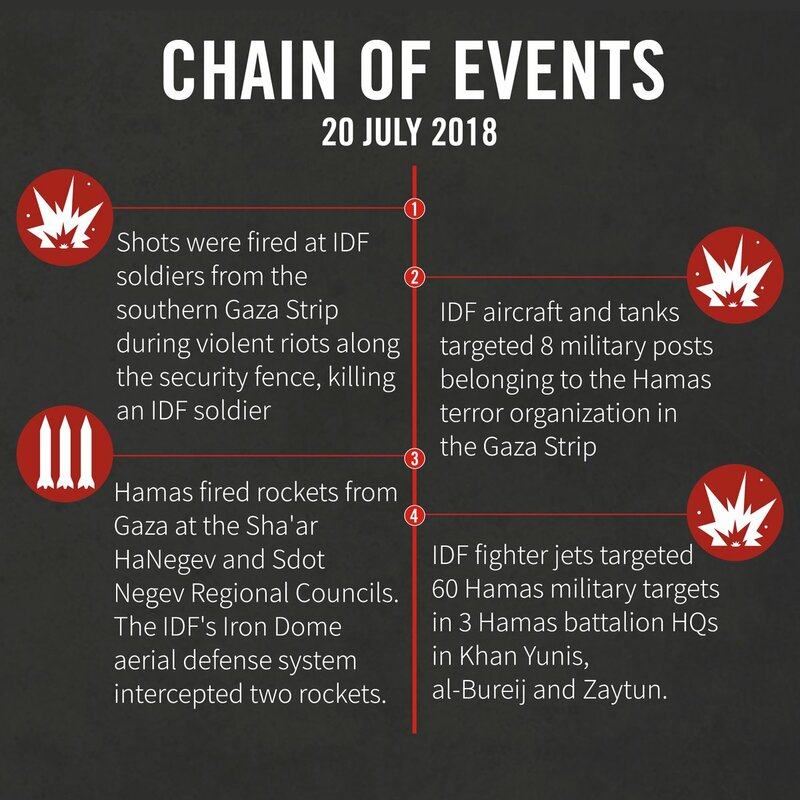 But a news brief by CNN International on Saturday presented the events in reverse order, and made no mention that the Israeli airstrikes had been in direct response to the Hamas attack. “Israel says one of its tanks targeted a Hamas military post in Gaza Saturday in retaliation for a border fence breach, one day after violence that left four Palestinians, including three Hamas militants, and an Israeli soldier dead,” CNN International wrote. Israeli Foreign Ministry spokesman Emmanuel Nahshon responded via Twitter to the CNN news brief, accusing the media outlet of “manipulation”. 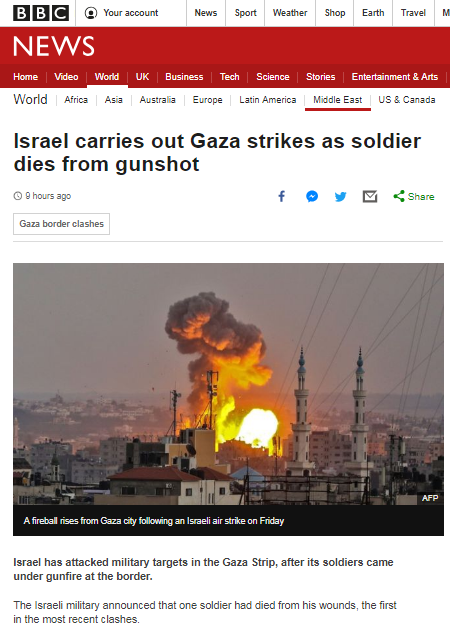 Late on the evening of July 20th the BBC News website published a report headlined “Israel carries out Gaza strikes as soldier dies from gunshot” on its main homepage and its ‘World’ and ‘Middle East’ pages. Obviously the identity of the party that fired the “gunshot” is not clear from that headline and the article’s opening lines also did nothing to help readers understand who carried out the attack. “Israel has attacked military targets in the Gaza Strip, after its soldiers came under gunfire at the border. Other media outlets managed to report the same events with more clarity. Here, for example, is a headline from Ynet which uses fewer words to provide a more informative picture to readers. One day after Israel evacuated some 800 Syrian White Helmets, Prime Minister Benjamin Netanyahu called the action “an important humanitarian step,” according to a statement his office released on Sunday. The Syrian regime launched a large offensive in June that has retaken the rebel-held areas in Dara’a and Quneitra bordering Jordan and the Golan. The Syrian rebels agreed to a reconciliation with the regime Friday and their areas were mostly surrendered by Saturday night, leaving only a sliver of territory near the border and within the 1974 ceasefire lines. “Fantastic news that we – UK and friends – have secured evacuation of White Helmets and their families – thank you Israel and Jordan for acting so quickly on our request,” tweeted British Foreign Secretary Jeremy Hunt. Israel earned plaudits on Sunday for helping to evacuate hundreds of Syrian civil defense workers from southern Syria to Jordan overnight at the request of Western countries. Founded in 2013, the Syria Civil Defense, or White Helmets, is a network of first responders who rescue wounded in the aftermath of airstrikes, shelling or explosions in rebel-held territory. The IDF took them from Syria and escorted them through Israel to Jordan. Jordan said 800 White Helmets rescuers and their families had been allowed into the country and would eventually be taken in by Britain, Germany and Canada. “Fantastic news that we – UK and friends – have secured evacuation of White Helmets and their families – thank you Israel and Jordan for acting so quickly on our request,” UK Foreign Secretary Jeremy Hunt wrote on his Twitter account. “The [White Helmets] are the bravest of the brave and in a desperate situation this is at least one ray of hope,” added Hunt. After the story broke, the BBC News website quickly produced a report titled “Syria conflict: Israel evacuates ‘White Helmets’” which appeared on its main homepage as well as its ‘World’ and ‘Middle East’ pages. “The White Helmets describe themselves as a volunteer workforce that acts to save people in Syria’s war zones. 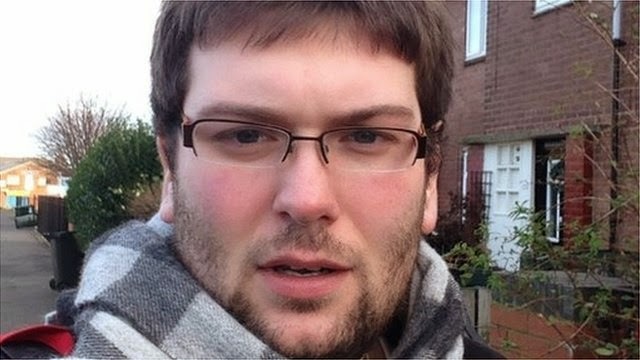 Nevertheless, three months on BBC News is still amplifying the propaganda of the Syrian and Russian regimes concerning the ‘White Helmets’ – and that despite the corporation’s obligation to “provide accurate and impartial news…of the highest editorial standards so that all audiences can engage fully with issues across the UK and the world”. Judging by many of the replies to a Tweet relating to the story sent by the British Foreign Secretary, the BBC News website’s longstanding habit of promoting false balance in the name of ‘impartiality’ by repeatedly amplifying any and every propaganda put out by the Assad regime and its Russian ally is certainly not contributing to meeting that particular ‘public purpose’. Yes, Israel still needs to defend itself. And the two promised to do so on Israel’s northern border. This is a historical paradox. In 1947, in pre-state times, Jewish leaders placed their trust in the United States, but Secretary of State George Marshall and Defense Secretary James Forstel opposed the establishment of a Jewish state in Palestine. It was Edward “Eddie” Jacobson, a former business partner, and close friend of President Harry S. Truman, who managed to arrange a meeting between the president and the Jewish leader Chaim Weizmann. During the meeting, the latter secured Truman’s support for the establishment of a Jewish state. Of the many virtues of the Israeli parliament passing a law declaring Israel as the nation-state of the Jewish people, not least is the entertainment value of observing the New York Times in what I call full-fledged frothing freakout frenzy mode. 1. Adjectives and adverbs. The law’s passage itself is described by the Times as “incendiary,” as if it is the equivalent of the arson kites Hamas is sending over the Gaza border fence. A clause in a draft version in the law is described by the Times not merely as “divisive” but as “highly divisive.” The Times instinct for the superlative is almost Trump-like; the law’s passage is said by the Times to demonstrate “the ascendancy of ultranationalists in Israel’s government.” What is the difference between an “ultranationalist” and a mere nationalist, the Times doesn’t explain. 2. Selective sourcing. The Times article quotes nine responses to the law: Benjamin Netanyahu, Ahmad Tibi, Yael German, Dan Yakir, Adalah, Amor Fuchs, Rabbi Rick Jacobs, Avi Shilon, and Shakeeb Shnaan. Of these, Netanyahu is the only one in favor of the law. Since the law passed the Israeli parliament by a 62-55 vote with two abstentions, the Times doesn’t come close to reflecting accurately the Israeli polity’s views of the matter. 3. Lack of links. The Times online can’t be bothered to include a hyperlink to the actual text of the Nation-State law, or even a sidebar with the brief full text of it, perhaps because if it did readers who think independently might be able to read it for themselves and conclude it is basically a statement of the obvious, not worth getting worked up about. Fifteen religious Jews were detained at the Temple Mount and removed from the site Sunday morning for bowing down and praying during their visit at the holy place, as record numbers of visitors ascended the holy site to mark the fast of Tisha Be’av. A record 1,440 Jews visited the site Sunday, according to numbers from the Yeraeh organization which promotes Jewish pilgrimage to the Temple Mount in accordance with Jewish law. In 2017, 1,293 visited the site, some 400 visited the year before, and 300 in 2015. The fast of Tisha Be’av commemorates the destruction of the ancient First and Second Temples in Jerusalem, as well as other tragedies of Jewish history. Ten were removed for prostrating themselves at the site, three for singing the liturgical lamentations read on Tisha Be’av, one for shouting out the Shema Yisrael prayer, and one for not listening to police instructions regarding the allowed route for Jewish visitors. A record number of Jews were said to have visited the Temple Mount on Sunday to mark the Tisha B’Av fast mourning the destruction of the two biblical temples, prompting rebukes from Jordan and the Palestinian Authority. Yehudah Glick, a Likud MK and Temple Mount activist, said that 1,400 Jews visited the holy site. That number would surpass the record 1,300 Jews who visited the Temple Mount last year for Tisha B’Av. However, Firas al-Dibis, the media coordinator of the Muslim Waqf, put the number at 1,023, according to PA state-run news outlet WAFA. Police did not immediately respond to The Times of Israel with an official tally. Tisha B’Av, which commemorates the destruction of both temples and several other disasters in Jewish history, began Saturday evening and will end at nightfall on Sunday. Both temples stood on the mount, which today houses the Al-Aqsa Mosque and the Dome of the Rock Shrine. Breaking the Silence: Watchdog group or extremist organization? HR’s Daniel Pomerantz joins i24News to discuss Israel’s new “Breaking the Silence Law” that limits certain organizations from entering Israeli public schools. She told the South African Jewish Report that during a meeting at the Israeli Embassy, she was told she would be denied access into the country. 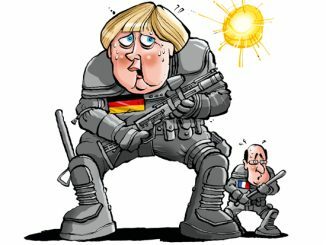 She is expected to begin her trip on Monday. Naidoo made headlines last month after she defended Israel’s actions in Gaza and explained the Israeli-Palestinian conflict in a factual manner. However, during her explanation, she called Gaza a “shithole,” due to the way Hamas is running the Strip. She said the international aid and money given was being used for rockets instead of housing, schools and better infrastructure. Following her comments, the celebrity said she received 10 death threats and was intimidated, threatened and dropped by several of the brands she represents. After the death threats, Naidoo issued an apology for her comments. She has since been coerced by the boycott, divestment and sanctions movement targeting Israel into holding a press conference, at which she agreed to go on a trip with the organization. “After my meeting at the Israeli Embassy, I have been declined access,” she told the Jewish Report via a WhatsApp conversation last week. You oughta know that when Alanis Morissette returns to Israel for her first show in six years, the Canadian singer songwriter will undoubtedly be greeted by tens of thousands of fans. Morissette, who rocketed to fame in the 90s with the release of her third studio album, Jagged Little Pill, will be performing later this month in Rishon Lezion. And her opening act is none other than Ninet Tayeb, the popular Israeli singer who now lives in Los Angeles. Tayeb, who won A Star is Born in 2003, has released five studio albums, and opened for Cyndi Lauper and Robbie Williams when they performed in Tel Aviv. Morrissette’s hit singles “Ironic,” “Hand in My Pocket” and “You Oughta Know” made the singer a household name, won her five Grammy Awards and sent her on a worldwide tour. The musician recorded her first album when she was just 16, and Jagged Little Pill came out when she was 21 years old. Now, at age 44 and the mother of two, Morissette hasn’t lost her edge. And she’s ready to prove that when she takes the stage at the Rishon Lezion Live Park on July 30. The Chainsmokers concert wasn’t so much a traditional concert as it was a bass-filled, sweaty party DJed by the Chainsmokers. The concert started with synth filling the air, the stage empty as riffs from ‘Sick Boy’ added to the sound. The pace picked up when Alex Pall and Andrew Taggart appeared behind the DJ booth, and the bass dropped, setting the party tone of the night. The DJ-duo constantly switched from song to song after what couldn’t have been more than a minute at most for nearly the entirety of the concert. The show included parts of their other hits, including ‘Closer,’ ‘Don’t Let Me Down’ and ‘Something Just Like This,’ but never the whole song. A verse or two and chorus of each of these songs was repeated multiple times, often with a dubstep interval strikingly unlike the recording. With ‘Closer,’ the duo sang part of it the first time in what sounded almost like a minor key. One of the band members began ‘Paris’ in a somewhat off-key a capella. The last part of the concert was a mix of music of all different genres, little of which was theirs, including ‘Circle of Life’ from the Lion King, ‘Shout,’ by The Isley Brothers, ‘Every Time We Touch’ by Cascada, ‘Sweet Dreams’ by Eurythmics and ‘Teach Me How to Dougie,’ by Cali Swag District. Closer was also included in this medley, but again they never completed the song, despite it being arguably their most famous song. David Rosenkrantz was a hometown hero in the summer of 1943. “L.A. Paratrooper, Buddy Capture 200 Italians,” read one newspaper headline. “Los Angeles Warrior ‘Captures his Captors,’” read another. Army Staff Sgt. David Rosenkrantz had been overseas for just three months when he and another paratrooper were mistakenly dropped into an Italian unit. The Italians, 200 of them, surrendered to Rosenkrantz and his fellow soldier. For weeks, the Germans held the farm where Rosenkrantz, 28, was killed. American troops were unable to recover his body. He was listed as missing for decades; his remains were identified through DNA testing earlier this year. This week, nearly 74 years after his death, Rosenkrantz’s remains were finally returned to his family. Rosenkrantz was laid to rest Friday at the Riverside National Cemetery, where four of his brothers are also buried. More than 30 of Rosenkrantz’s relatives — nieces, nephews, their kids, and their kids — were present. Sitting front and center in the outdoor amphitheater was Phillip Rosenkrantz, David’s nephew, who helped locate the remains of the uncle he never knew. After “Taps” was played and the three-volley salute was fired, the military honor guard folded the flag draped atop Rosenkrantz’s casket. Phillip gulped and blinked back tears as he received the symbolic triangle.